The UNESCO World Heritage Committee has declared the Tehuacán-Cuicatlán valley a mixed heritage site, the second to be designated in Mexico. 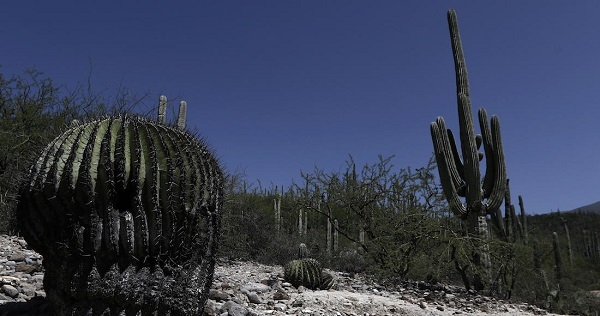 The valley is the arid or semi-arid zone with the richest biodiversity in all of North America. Extending over 490,186 hectares and encompassing 30 municipalities in Oaxaca and 21 in Puebla, the new World Heritage site is one of the main centers of diversification for the cacti family, which is critically endangered worldwide. The valley harbors the densest forests of columnar cacti in the world, a unique landscape that also includes agaves, yuccas and oaks. It is also the habitat of threatened animal species such as the golden eagle. The valley also “protects close to 141 bird species, including several hummingbirds, a species that is considered an important pollinator for some cacti,” the Secretariat of the Environment and Natural Resources (Semarnat) explained on Twitter. The cultural aspect of the site is represented by archaeological remains that demonstrate the technological developments and the early domestication of crops in the region. The valley has a water management system of canals, wells, aqueducts and dams, the oldest on the continent, which has allowed for the presence of agricultural settlements. Archaeological vestiges include cave paintings, cemeteries & citadels, and come from a people that were transitioning from hunter-gatherers to a neolithic sedentary society. The Tehuacán-Cuicatlán Valley has been a natural protected area since 1998, and in 2012 it was declared a biosphere reserve. The first mixed heritage site in Mexico, inscribed in 2016, is the Ancient Maya City and Protected Tropical Forests of Calakmul in Campeche.